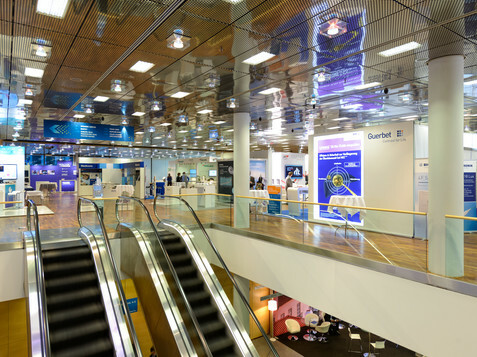 Suitably large and easily accessible exhibition areas are an important aspect of all international congresses. 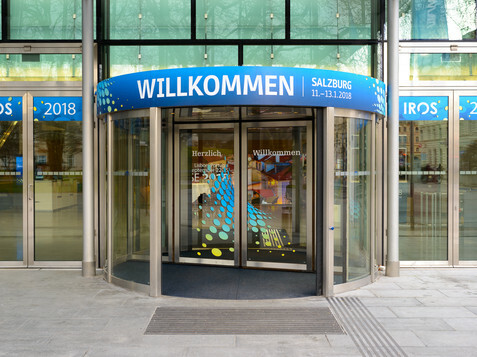 At Salzburg Congress they play a key role at the heart of the action. 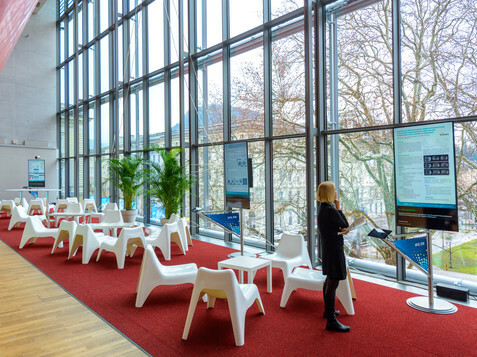 At Salzburg Congress there are some magnificent and generously proportioned exhibition spaces on the first and second floors which are perfectly suited to product presentations, receptions and poster exhibitions. These are located at the heart of the entire building. 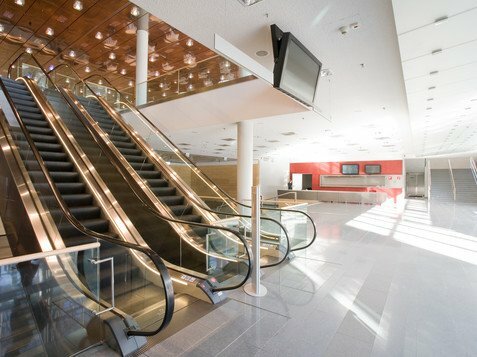 They benefit from lots of natural light and can be easily reached via lifts and escalators. The forecourt of the main entrance provides an excellent and original option for exhibitions. It can also be used to provide additional space that expands Salzburg Congress into the wonderfully shady domain beneath the venerable trees of the adjoining park landscape. On the same floor as: Wolf-Dietrich Saal and Karajan Saal. Suitable for accompanying poster exhibitions, product presentations, receptions etc. On the same floor as: Europa Saal and Paracelsus Saal. Suitable for poster exhibitions, coffee breaks, lunches etc. Small foyer for catering and gatherings during breaks. Foyer 4 (176 sqm on the 4th floor) – On the same floor as: Doppler Saal.